This content is brought to you by Q'STRAINT. Are your school bus equipment suppliers providing the necessary resources to allow your school district to run its transportation department at the optimal level? You may not actually know this answer. Below is an example of an equipment supplier that has a deep understanding of how to deliver a successful training program for its pupil transportation client. It’s not a coincidence as to why the Harrison School District in Colorado Springs runs a tremendously smooth and efficient transportation operation—especially when it comes to safely transporting students with disabilities and special needs. 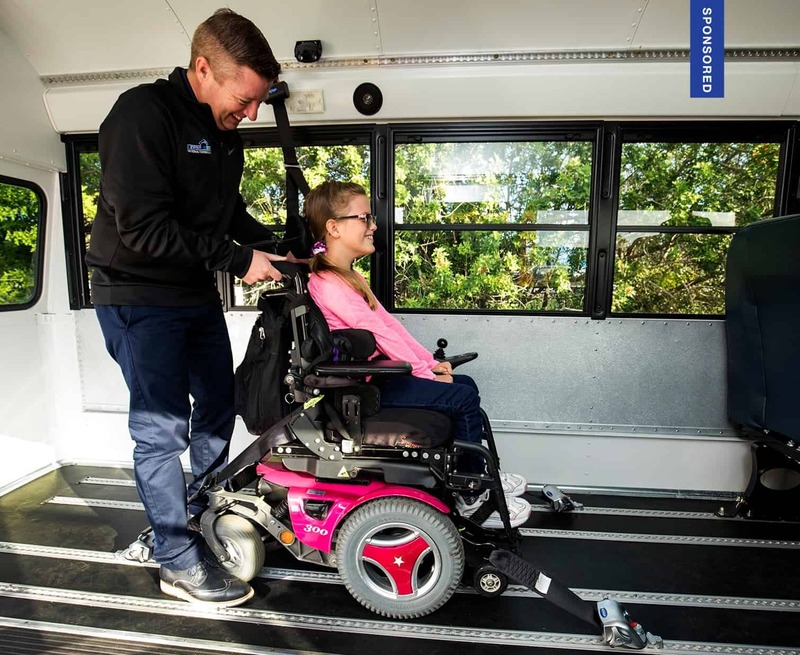 It is evident that the Colorado school district is committed to using every aspect of the Q’STRAINT Wheelchair Securement TRAINING AQADEMY, to ensure that the district provides the safest transportation for students who are at the greatest risk. Q’STRAINT, a global leader in manufacturing wheelchair securement solutions for school buses, provides an all-inclusive training program for school districts like Harrison. Its comprehensive scope of services ranges from online training courses and webinars, to national seminars. And Harrison is benefitting appreciably from the exemplary training program. 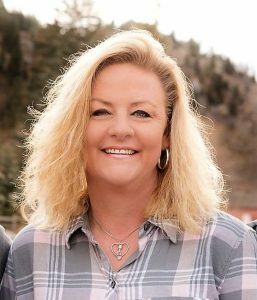 Josy Campbell, transportation operations manager at Harrison School District in Colorado Springs, Colorado. Harrison’s school bus transportation initiative is spearheaded by Josy Campbell, the transportation operations manager. She is a big proponent of the Q’STRAINT TRAINING AQADEMY, which offers a wide range of programs, to ensure their products are supported at the highest level. One of Campbell’s preferred tools is the Q’STRAINT live monthly Wheelchair Securement Training Webinars that are broadcast worldwide. These interactive webinars provide an overview of the range of securement equipment that is currently available. The webinars review the basic principles that operators need to follow, in order to properly secure passengers with special needs and their wheelchairs. Campbell has also attended the annual Q’STRAINT National Training Seminar. The seminar provides the company’s most detailed training on all aspects of wheelchair transportation. Those include, but are not limited to, regulations and best practices, understanding and reducing liability, securement equipment options, securement principles, specification writing and securing difficult mobility devices. The focus is on training attendees to apply the knowledge they acquire to problem-solve real-world securement and transportation issues. 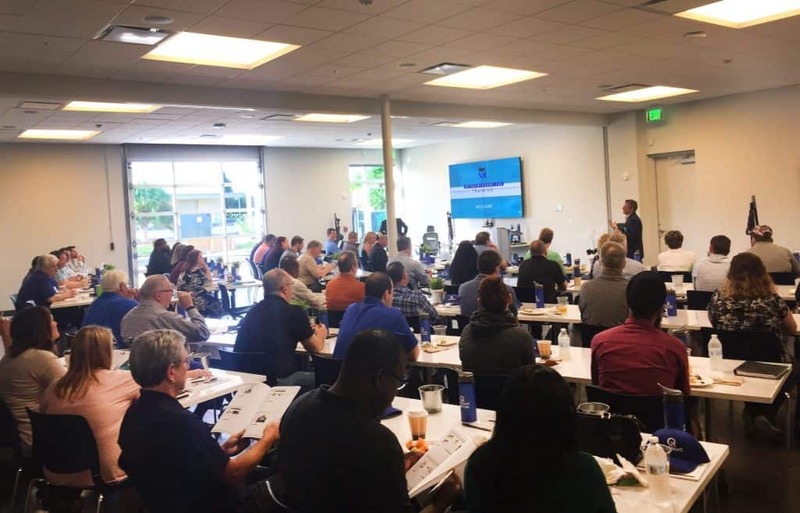 The popular seminars are held at the company’s state-of-the-art facility and taught by the industry’s most informed wheelchair securement experts. One added bonus of the seminar is the Q’STRAINT manufacturing facility tour, where attendees can actually see first-hand how Q’STRAINT products are produced by its assembly and production teams. Campbell also learned quite a bit about wheelchair securement from other attendees who journeyed from throughout North America. “Since we had so many people from across the United States and Canada, I found it interesting to talk to some of my peers in the same profession, to see what they are doing,” she explained. Another facet of the Q’STRAINT training experience involves the website portal that contains a fleet evaluation program. Here, the Harrison technicians can log-in to determine the condition of their equipment during routine maintenance inspections. The fleet evaluation program also informs Campbell’s mechanics on how to inspect their equipment, to ensure it is working correctly, evaluate its condition, or determine if it needs to be replaced during routine maintenance inspections. Securement 101 is an on-demand, interactive, and comprehensive, wheelchair securement course. Each lesson concludes with a quiz. Once the course has been successfully completed, transportation professionals receive a certificate of completion that is valid for two years. Sanchez has a unique system when testing her team in conjunction with the Q’STRAINT online training course. After they pass the test portion, she has them demonstrate to her what they learned, by actually performing securement practices on real school buses. Are Your Manufacturers Providing You with Proper Training? When searching for a school bus product, whether it is a wheelchair securement system or a video camera device, it is critically important to not overlook the company’s training program. You can have the greatest product in the industry, but it will never work if you can’t figure out how to use it. Be sure to find a company that provides a training program with the knowledge, skills and resources, to allow your school district transportation team to successfully operate the product with the shortest learning curve. For over 30 years, Q’STRAINT has remained focused on developing the most innovative solutions to advance the safety and effectiveness of wheelchair passenger travel. The diverse global staff serves customers in more than 70 countries throughout North and South America, Europe, Australia, Asia, the Middle East and Africa. You can visit Q’STRAINT at Booth 504 at the TSD conference. For more information, visit qstraint.com or follow us on Facebook and Twitter.